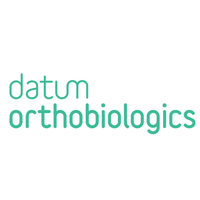 Datum Biotech Ltd. has announced the founding of Datum Orthobiologics Ltd. Datum Orthobiologics will focus on creating advanced biomaterials for orthopedics based on proven bone formation and tissue regeneration solutions. These bio-programmable medical devices are designed to contribute to long-term healing and regeneration of musculoskeletal components. Datum Orthobiologics will concentrate its initial efforts on bone graft products. The unique ossification properties of Datum’s products make them ideal new entrants for spine fusion and fracture grafts in trauma. The Company is currently in a round of fund-raising. Affiliated with Datum Biotech, Datum Orthobiologics benefits from proven and patented GLYMATRIX® technology, as well as decades of know-how and industry experience. Products featuring GLYMATRIX® technology have been used safely and effectively in over half a million clinical dental and aesthetic procedures, and are trusted by medical professionals around the globe. Datum Orthobiologics was founded to provide innovative orthopedic ossification, bone formation and tissue regeneration solutions.We develop advanced biomaterials designed to improve long-term healing and regeneration of musculoskeletal components. Datum Orthobiologics is affiliated with Datum Biotech, benefiting from GLYMATRIX® technology and other patented technologies. At Datum Orthobiologics, we utilize our unique technology, expertise and knowledge to caringly create the best possible orthopedic regeneration solutions for clinicians and patients. The iData series on the market for orthopedic biomaterials covers the U.S. and 15 countries in Europe including Germany, France, the United Kingdom (U.K.), Italy, Spain, Benelux (Belgium, Netherlands and Luxemburg), Scandinavia (Finland, Denmark, Sweden and Norway), Portugal, Austria and Switzerland. Reports provide a comprehensive analysis including units sold, procedure numbers, market value, forecasts, as well as detailed competitive market shares and analysis of major players’ success strategies in each market and segment. To find out more about orthopedic biomaterials market data or procedure data, register online or email us at [email protected] for an U.S. Market Report Suite for Orthopedic Biomaterials brochure and synopsis.